A romantic-comedy set in the world of radio! He’s Blevins DeBell, America’s favorite radio star. She’s Betsy Harper, small town girl and production assistant at the TBC. Their fortunes and hearts become entangled when Betsy steps into the figurative shoes of Blevins’s former co-star and wife, Joan DeBell. It’s a part neither of them expected to play, but the show must go on! “The Unlikely Understudy”: With mere minutes to air, P.A. 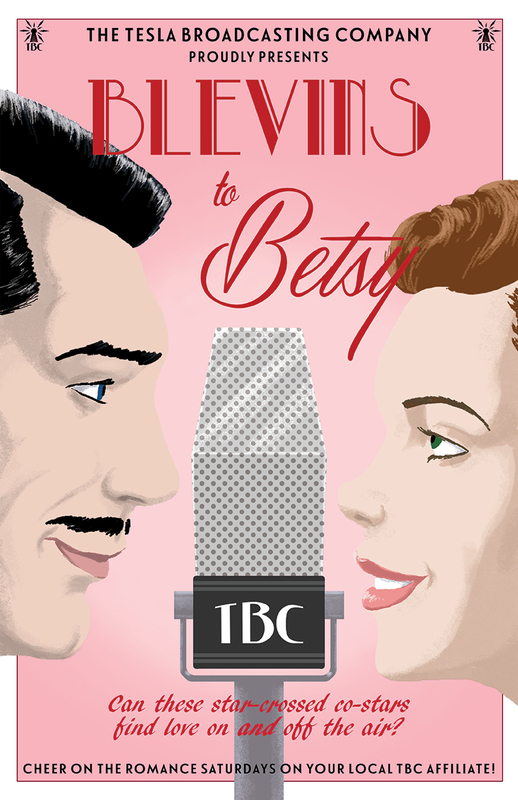 Betsy Harper is called upon to co-star with debonaire (and conceited) radio icon Blevins DeBell! “Live from the 13th Floor!”: Radio station P.A. turned actress Betsy Harper is getting closer to famous co-star Blevins DeBell – which is inevitable when trapped together in a tiny elevator! “For All the MARBLs!”: Their radio show is about to win a major award, but Blevins’s ex-wife Joan may steal the show altogether! “It Haddock To Be You”: Our radio star-crossed lovers finally go on their first date – only to find their burgeoning romance hitting choppy waters!